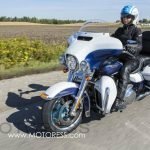 Indian Motorcycle, America’s first motorcycle company founded in 1901, introduces its new ultra-premium bagger, the 2018 Chieftain Elite. This limited-edition bagger pairs custom-inspired paint that’s completed by hand with top-of-the-line amenities for the rider who demands the best of the best. 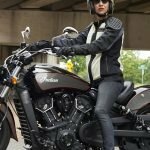 If you’re a woman motorcycle rider who loves to make a statement- the Indian Motorcycle Chieftain Elite will set you apart from all the others! The focal point of this bagger is the stunning, specialty paint featuring high-flake Black Hills Silver. 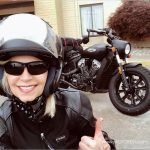 As the name suggests, the paint is inspired by the silver mines in the Black Hills of South Dakota, which is near Indian Motorcycle’s custom paint facility in Spearfish, SD. A team of Indian Motorcycle experts mask the bodywork, lay the graphics, and hand-spray each Chieftain Elite. Each bike takes nearly 25 hours due to the time-intensive, painstaking processes, completed by hand. Incredibly, no two bikes will look the same due to the level of human touch involved. There’s no question that this bold, one-of-a-kind bike will stand out in any crowd. 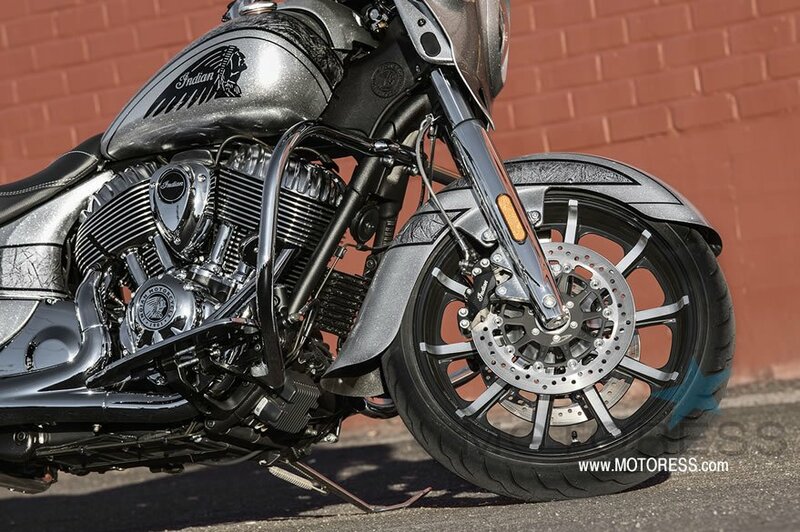 The 2018 Chieftain Elite has a commanding stance with 19-inch, 10-spoke, contrast-cut front wheel and marbled graphics package. It’s equipped with premium features, including a 200-Watt premium audio system, Pathfinder LED headlight and driving lights, a push-button power flare windshield, billet aluminum Select Driver and Passenger Floorboards, and genuine leather seats. New for this year’s Chieftain Elite are pinnacle mirrors and updated, smaller hand controls for improved ergonomics. The Chieftain Elite is a strong addition to Indian Motorcycle’s iconic lineup. 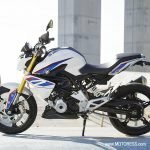 Only a limited number of these motorcycles are available. Pricing starts at $31,499 USD and $37,999 CAD. 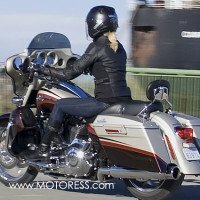 Find an Indian dealer near you!